Cradle of the Renaissance, Florence is one of the world's most beautiful cities, packed with wonderful art and architecture on a grand scale. Marble statues grace piazzas, ceilings and walls are fresco-covered and views are handsome and historic. 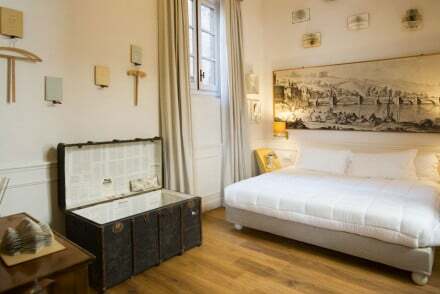 If you're here for Michelangelo, Botticelli and Leonardo da Vinci, then why not have the accommodation to match! 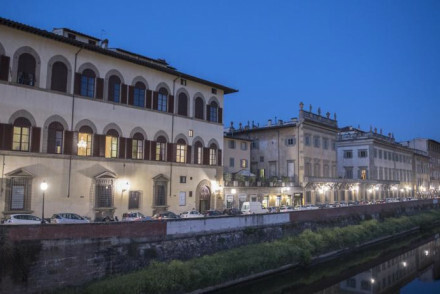 The big chain hotels, present in so many popular destinations, don't seem to have a foothold here, and an increasing number of the best places to stay in Florence are independently run, many converted from large old family homes and palazzos. You can opt to be in the thick of things or head for the hills that fringe the city where, especially in summer, you'll find relief from the heat and dust. 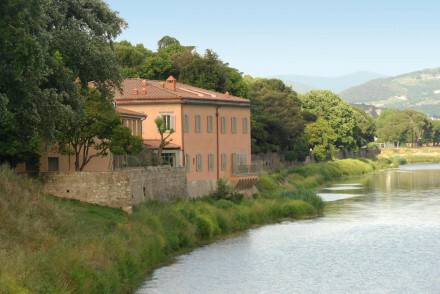 Florence has a lovely rural-urban vibe, so some of the villas on the outskirts of town feel like they're deep the Tuscan countryside, while still being only about a 30minute stroll to the centre of town. One of the best things about staying in one of the villas on the outskirts of Florence is that there's a chance you'll have a lovely view of the city. There's also the benefit of being close to the vine-lined hills of Chianti. When it comes to choosing the right part of Florence in which to lay your head, you’ll find many of the best places to stay in Florence within the Historic Centre, which is the historic part of town encompassing many of the main churches, museums and galleries. There are two main parts to the Centro Storico: the area around the Piazza della Signoria - which is close to the Duomo, the Uffizi and the Ponte Vecchio, and the areas around the Santa Maria Novella and San Lorenzo - which are still rife with beautiful churches and historic palazzi, they’re just a bit earthier. 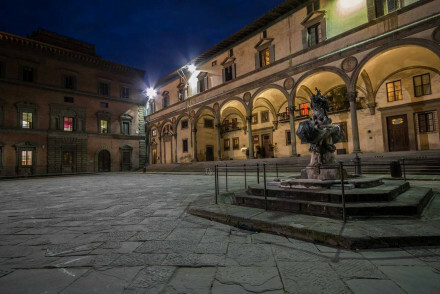 To the east is the Piazza Santa Croce, which is great for markets, cafes and bars. The south bank of the river Arno is the Oltrarno, which is also great for foodies and has a boho-chic charm. Then, above the city are the hills - perfect if you’re visiting in summer and want a break from the heat and crowds. The Uffizi is probably the best known gallery in Florence and one of the world’s greatest fine art museums. This is where you’ll find Boticelli’s The Birth of Venus and Titian’s Venus of Urbino. Michelangelo’s David is nearby at the Accademia Gallery. The Pitti Palace and the Bargello are probably the other galleries people travel to Florence to visit. Florence has around 80 galleries and fine art museums and that is just a tip of the artistic iceberg as many of the most wonderful of Florence’s art treasures are in churches not museums. Some of the Duomo’s art is now housed it its own museum, but there’s still the San Minato al Monte, the Santa Maria Novella, the Santa Trinita, Santa Spirito, the Santa Maria della Carmine and many, many more. Many of our hotel picks display their own art. Frescoes abound in the old palazzos and many are stuffed with antique furniture, creating an aura in which you can almost see yourself dining with the Medicis, or plotting alongside Machiavelli. As well as historic art treasures, Florence has a rich modern cultural scene. This is a place to come to eat extremely well, attend great classical music or opera concerts, see the latest art exhibitions - both old and contemporary - and to live a little, or a lot. Florence has long been the city break of choice for people whose taste runs to the artistic. 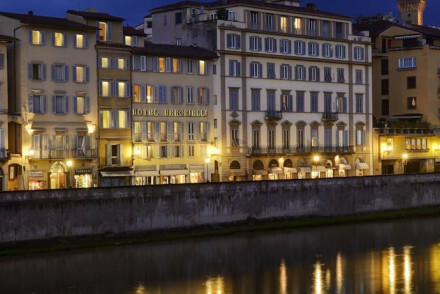 If you are here to shop, stroll down the Via de' Tornabuoni for a designer label fix, or visit the mercato centrale and soak up the local atmosphere, or pick up a bargain on the Ponte Vecchio. With so many choices available is shouldn't be too difficult to find one of the best places to stay in Florence to suit your requirements. Florence is always popular though, so do book early for your favourite. 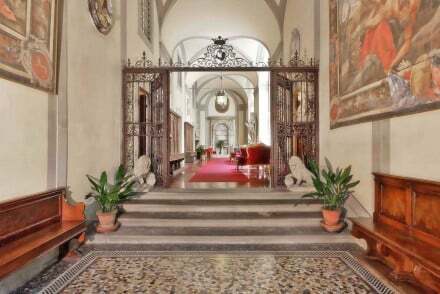 Palazzo Niccollini al Duomo is a fabulous property choc-a-block with original features and furniture, in an unbeatable location. 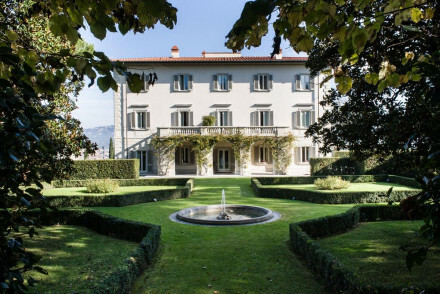 Family owned and run, it is a spectacular residence overlooking the Duomo. 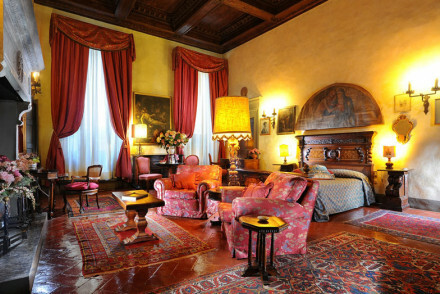 The Relais Uffizi is a great family option, with 12 elegant rooms starting from around €100 per night. Here you can also expect four-poster beds and art on the walls and a great location. 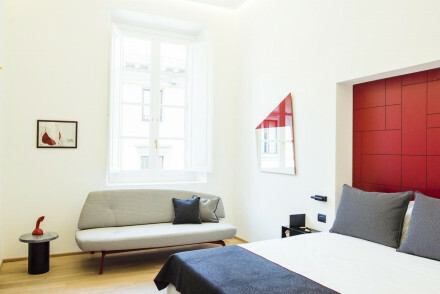 The Gallery Hotel Art is a fabulous design hotel in central Florence with chic rooms and suites with contemporary art and private terraces with views over Florence. The Hotel Rosso 23 is a beautiful old building carefully renovated into a 45 room contemporary style hotel. The now modern rooms and living areas are in reds, blacks and greys and there’s a lovely inner courtyard and breakfast room. A short walk from the Duomo. 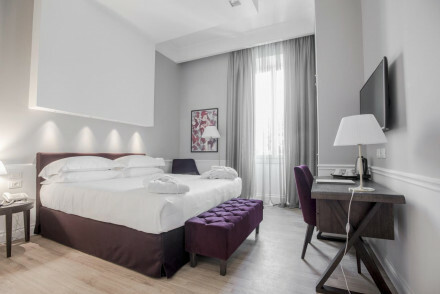 Garibaldi Blu is a designer, 22 room hotel in a great location overlooking the church of Santa Maria Novella, five minutes from the Duomo and close to the station as well. The rooms are large and uncluttered, with some whimsical design features, and the best of them have views over the piazza. Hotel Home is a slick modern, minimalist hotel within a beautiful Renaissance shell. Rooms are all white with great views. There's a small spa and gym and small - but well chosen - menu. Le Stanze de Santa Croce is a cheerful B&B with four rooms - or you can book out the whole place. Brightly coloured rooms and a lovely breakfast terrace make this a warm, comfortable place to stay. If you love the beauty of Florence's architecture, but prefer something more modern when it comes to your own space, Floroom is for you. The decor in these four rooms is monochrome, splashed with modern art and you're right in the heart of town, just behind the Ponte Vecchio. 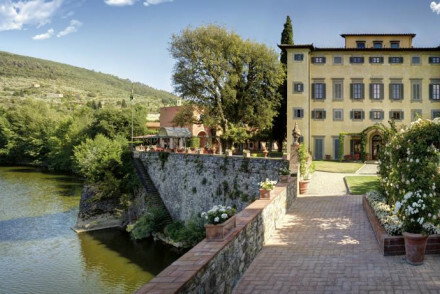 For a lovely riverside location the Ferragamo-owned Hotel Lungarno, with its with elegant modern interiors and views of the Arno, is perfect. The Villa Tolomei is a small, five star, hotel converted from a beautiful villa, set in 20 peaceful hectares of olive groves and vineyards with wonderful gardens, a lovely pool and spa and a fantastic Tuscan restaurant. 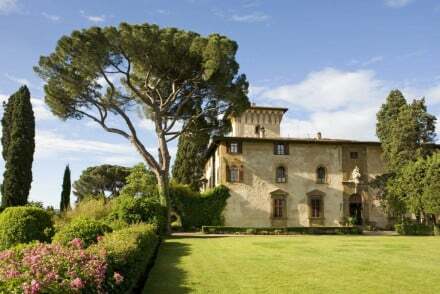 Once a private home, the Torre di Bellosguardo is a beautiful villa which overlooks Florence from its hilltop position. If you appreciate palatial rooms with wonderful frescoed ceilings and four poster beds then this might be the place for you. 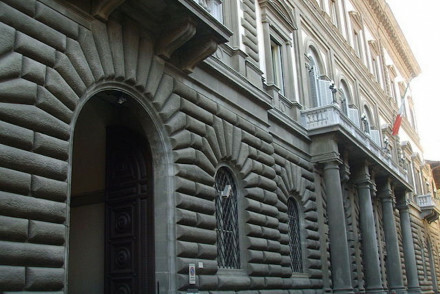 The Palazzo Vecchietti is a distinguished15th Century built palazzo right in the heart of Florence. Dante called it 'Paradiso'. Now divided into fourteen luxuriously decorated suites and apartments with lovely details like private terraces, high ceilings and amazing views. It's easily one of the best places to stay if you're looking for something a bit special. The Four Seasons Hotel housed in a Renaissance palazzo has got the lot - frescoes, elaborate stucco work, sculptures and grand public spaces. Deep pockets and the ability to walk the short distance back from the centre are essential. 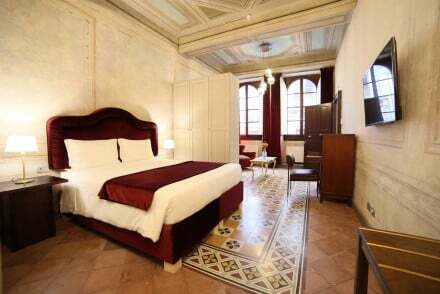 The Hotel Savoy is a fine, luxury hotel in the very heart of the centre, close to the Duomo. Styled beautifully by Olga Polizzi, this is a haven of pale and perfect luxury. 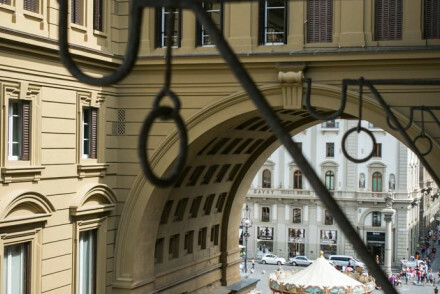 Palazzo Galletti has an enviable location on one of Florence's most elegant palazzos, occupying the first floor of a mansion-with-a-view. 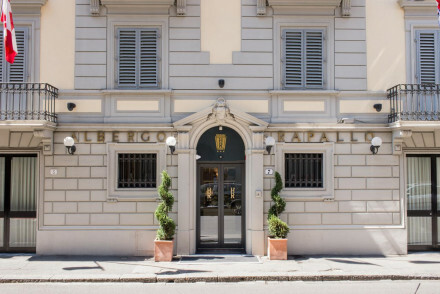 Galletti has eleven rooms, nine of which have elegant, semi-contemporary decor and tiny terraces, and two of which are spectacular - vast, with wonderful frescos. 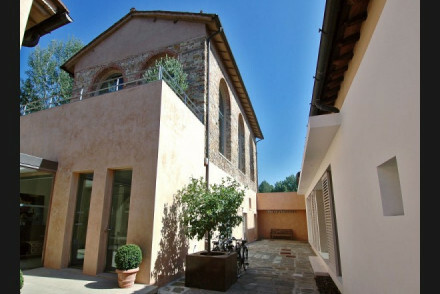 Casa Howard is a chic B&B guesthouse converted from a Florentine palazzo. 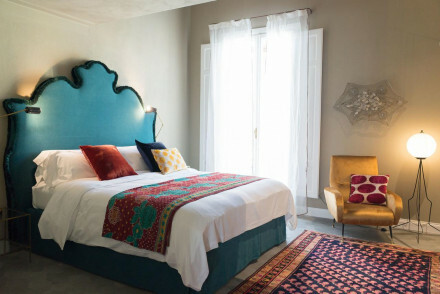 Owned by textile designers, their forte is very much in evidence in all of the individually designed rooms. With fresh flowers everywhere and honesty bars on each floor, it's definitely amongst the best places to stay in Florence if you're looking for a home from home feel. 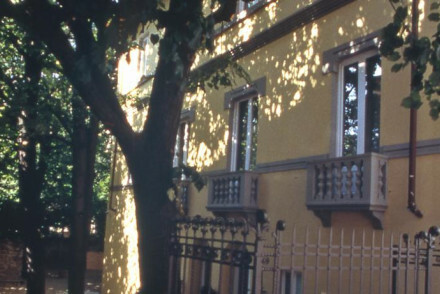 Antica Dimora Firenze is an owner run B&B with just six rooms, right by the Duomo. You get the best of Florence, including four-poster beds, decorative details and antiques, plus breakfast. The Residenza d’Epoca occupies the upper floors of a private house on the edge of the Piazza della Signoria and there are few rooms with a better view than these ten. Traditional, unfussy decor focused on heritage and comfort and an excellent breakfast. 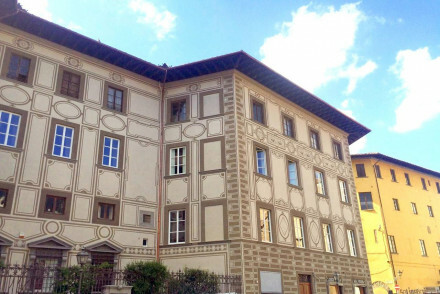 Built in 1517 is a former convent, Loggiato dei Serviti is one of the most prestigious historic residences in Florence. Add to this stunning views across the Piazza SS Annunciata to Brunelleschi's Ospendale deli Innocenti, the charming antiques, rich fabrics and parquet floors. The Helvetia & Bristol has been the home-from-home choice of the international elite since the 17th Century, with elegant old-fashioned luxury and charming, classically styled rooms. There’s a Mediterranean restaurant with a view of the Piazza Stozzi. 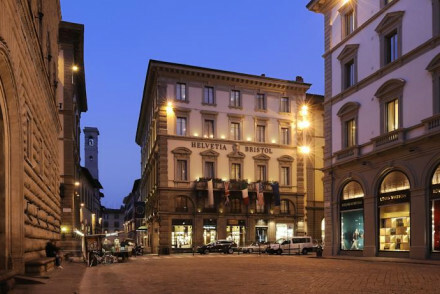 Hidden in between the Duomo and the Palazzo Vecchio, the Hotel Brunelleschi is a 96 room boutique hotel with chic rooms and its very own museum and Roman Baths. 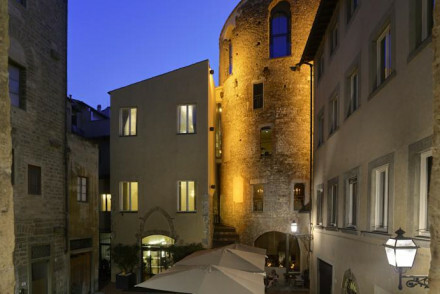 The design is modern built around an impressive old tower, which is actually the oldest structure in Florence. 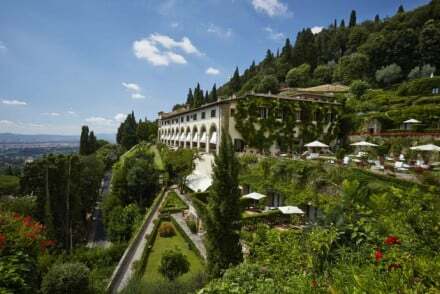 The Hotel Tornabuoni Beacci is a 56 room hotel converted from a 15th Century palazzo. 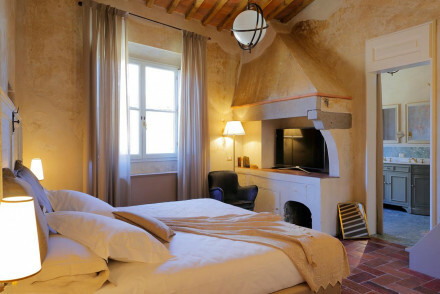 Expect original frescoes and antiques, spacious rooms with parquet floors and marble bathrooms. 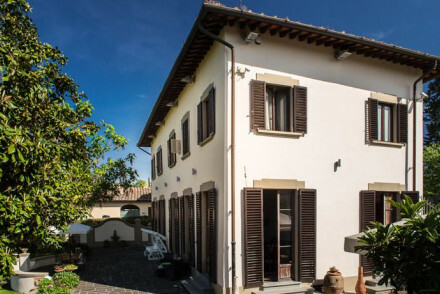 If your kids appreciate a little bit more space, then the Villa Tolomei, a beautiful villa just five minutes drive from the centre of Florence, may be for you. A small five star hotel, set in 20 peaceful hectares of olive groves and vineyards with wonderful gardens, a lovely pool and spa and a fantastic Tuscan restaurant. 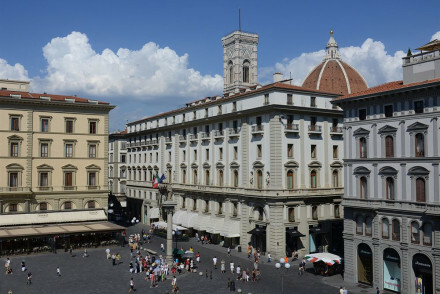 N4U offers a meeting of historic Florence with family friendliness in a great location just one minute from the Duomo. This five room B&B has been converted from a thousand year old tower and the result is a quirky, characterful collection of rooms with beautiful views and lovely original features. Also well located, Be One is a good choice if your family would prefer something a bit more modern. 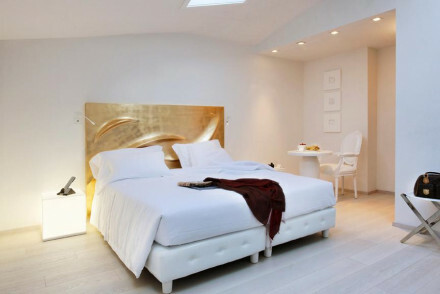 Here there are five all-white boutique chic rooms and suites with dark oak floors and modern art. Some of the rooms have kitchenettes. 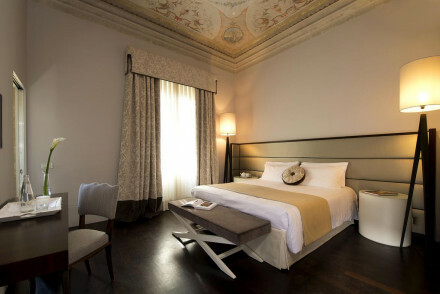 The Antica Dimora Firenze is charmingly traditional, only 10 minutes from the Duomo. There are only six rooms in this delightfully chintz-tastic guest house, several have four poster beds and all are airy and fresh feeling. The Hotel Monna Lisa is a romantic Renaissance palace with beautiful period decor, original paintings and sculpture and lovely rooms. There’s also a lovely garden and breakfast courtyard. Suites have private balconies and the 45 rooms start from around €125 per night. 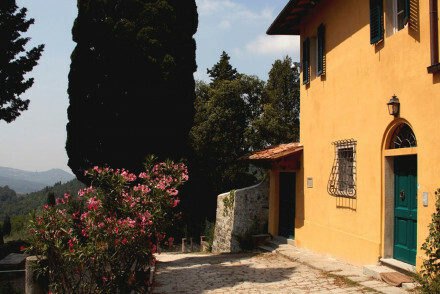 Villa Antea is to the north of Florence, about 15 minutes from the centre of town, in a lovely, leafy old neighbourhood shaded by lime and poplar trees. This lovely, peaceful villa has been in the same family since 1887 - so has some wonderful original features and decorations. The Villa Rucellai is a charming 18th Century villa on the outskirts of Florence, surrounded by its own olive groves and grape vines. Another example of an old family home turned charming B&B, the villa has been home to the Rucellai family since 1740. Public areas are grand and homey, while the eleven rooms are simple and comfortable. 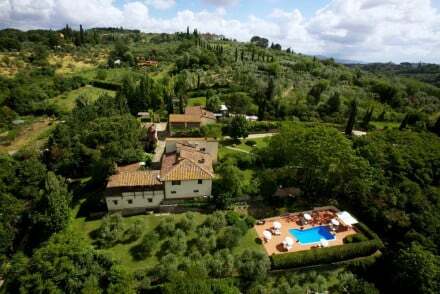 For families, the Marignolle Relais & Charm is a ten minute cab journey from central Florence and has an outside pool in a lush garden to plunge into when you return hot and dusty from the city. 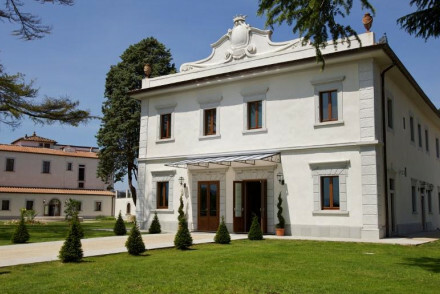 For a spot of understated luxury in the outskirts, book a room at the Villa San Michele. Converted from a 15th century monastery, it boasts glorious terraced gardens with breathtaking views over the city and a large pool. You can see Florence from the terrace of the Pensione Bencistà and from some of its 40 Tuscan style rooms and you are surrounded by olive groves and charming gardens. There’s also a terrace restaurant. 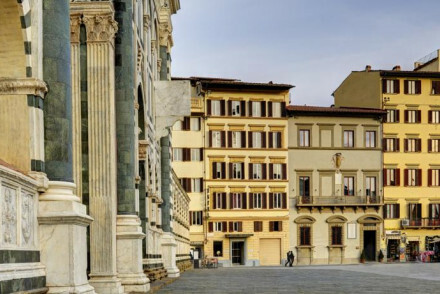 Florence’s Amerigo Vespucci international airport is only 15 minutes from the centre of town by bus or taxi, but it might also be worth considering travelling via Pisa Airport, which is well connected to Florence too. If you want to hire a car - which we strongly advise if you’re staying in Florence and you want to see more of Tuscany - we recommend you visit our online partner Rentalcars. The huge number of hotels and guest houses means that in the cooler, quieter months there are some excellent accommodation deals to be found. There's always something on here. A thousand and one events are packed in from late spring through early autumn - this is when there are outdoor events as well, but Florence is also a wonderful place to visit in December, January and February too. August is popular, but as far as the weather is concerned it’s one of the worst times to visit the city - it bakes at this time of year. 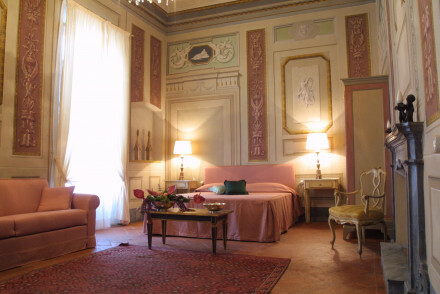 Or the Best B&Bs in Florence? 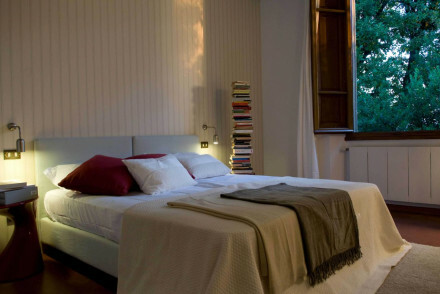 This luxury B&B is located in a leafy, exclusive suburb of Florence. Rooms are individually designed with soft lighting adding a homely feel; the best suite offers a private verandah and living space. Relax in the pretty Tuscan garden after a day out sightseeing. A charming, intimate guesthouse. Lovely B&B right in the heart of Florence. The minimalist rooms are comfortable with tasteful artwork hanging on the walls. The central location is ideal for sightseeing and browsing the bountiful choice of restaurants and bars. Low cost and great location, an unmissable combination. 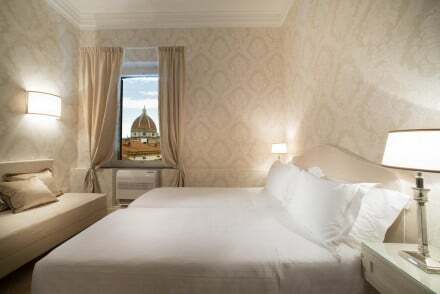 Value chic - Elegant and thoughtfully decorated rooms, in the heart of the city, without the crazy Florentine price tag. Local exploring - A historic and charming hotel, a stones throw from the Piazza della Repubblica and all the main sights. Local markets - Florence boasts some of the best shopping in Italy, be sure to check out the central market. Sights nearby - One minute walk from the Piazza della Repubblica and the Florence Cathedral. Self-catering palazzo apartments in an idyllic district away from the throngs of tourists but still handy for sights. Expect a real home-away-from-home feel that nonetheless oozes sophistication, with authentic tiling and period features as well as elegant furniture. A classic and practical base. 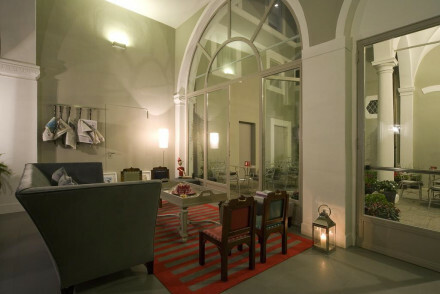 This charming guesthouse is located in a heritage building in the historical centre of Florence, Santa Croce. 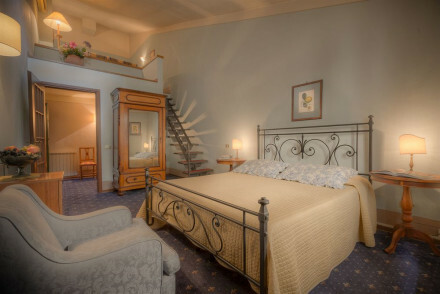 Rooms are individually dressed with vintage-style design pieces, high ceilings and bright windows; the most spacious rooms have a balcony and mezzanine with living space. A stylish B&B. Slick modern minimalism set within traditional Renaissance architecture. All white rooms and suites with wooden floors and all the mod cons. Small gym, massages and a hot tub, Tuscan snack menu, and stunning panoramic views from the terrace. A lively little spot, refreshingly cool. City Style - Slick modern minimalism in a traditional Renaissance building. Spa - In-room treatments on request. 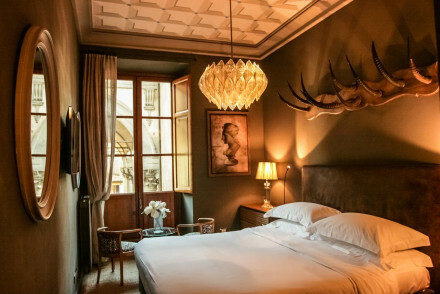 Not only are each of this hotel's 10 bedrooms uniquely decorated, they draw from different centuries. Intricate Renaissance ceiling work juxtaposed with bold wall lights & retro furniture. Enjoy a hearty continental breakfast before stepping out the door into the heart of Florence. A hipster haunt! Great walks - Walk along the Arno River and across the medieval Ponte Vecchio bridge. Local markets - The San Lorenzo has a variety of local produce and handmade goods. A neighbourhood guesthouse offering an authentic feel of Florentine life; ancient tiled floors and shuttered windows mix with brightly coloured soft furnishings. Plenty of thoughtful touches - books to borrow, free cakes and hot drinks all day - and with a knock-out roof terrace. Great value too. Value chic - Beautifully adorned rooms with silk fabrics and four poster beds, from just €90 per night B&B. Views - Take your drink or coffee up to the roof terrace and enjoy spectacular city views. Romantic Break - Stunning rooms and unbeatable views. Sights nearby - Florence Botanical Gardens, Cathedral of Santa Maria del Fiore, San Lorenzo Church and Ponte Vecchio. 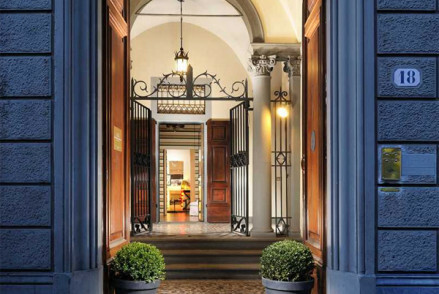 An elegant palazzetto turned boutique hotel ideal for those seeking the "real" Florence. 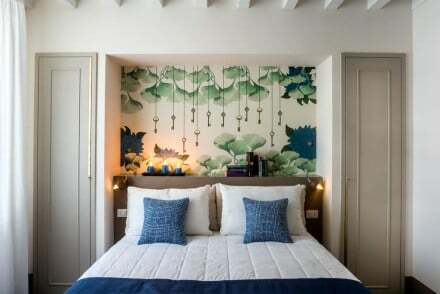 Rooms are furnished with antiques and playful, yet tasteful, printed fabrics. There is a very pretty garden where guests can enjoy a lazy breakfast. An unpretentious yet truly lovely central stay! Sights nearby - The Duomo, the Piazzale Michelangelo and the Battistero Palazzo Pitti are among the top sights, of which there are many! Peaceful retreat in a 16th-century palazzo overlooking a romantic, folly-strewn garden. Rooms are vast and mix original features with retro furnishings and modern art; a great place to relax with a drink on the terrace after a day’s sight-seeing. 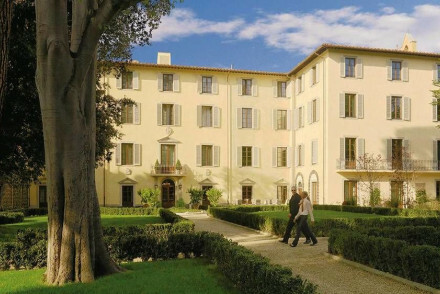 Great walks - Relaxing walks in the nearby Boboli gardens or the Bardini gardens. Sights nearby - Ten minutes walk from Pitti Palace and the Ponte Vecchio. A beautiful manor house and organic olive farm turned chic eco-lodge in the Tuscan hills. 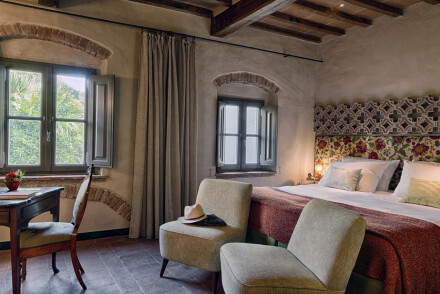 The elegant rooms offer traditional features such as wooden beams, exposed brick and mosaics and the bathrooms are stocked with handmade soaps from the farm. The home-cooked organic breakfast is wonderful. Charming B&B with a real familial touch. The bespoke rooms are adorned with tasteful furniture. A real highlight is the place's location, which provides easy access into Florence whilst also being home to stunning views of the Tuscan hills. A place brimming with character. Country Escape - Located in beautiful Scandicci, just outside of Florence, with stunning gardens, charming rooms and a relaxed atmosphere. Sights nearby - A bus runs from outside the B&B right into the centre of Florence, allowing you to explore when you like. Great walks - Take advantage of your location and head off to explore the stunning hills surrounding the villa. 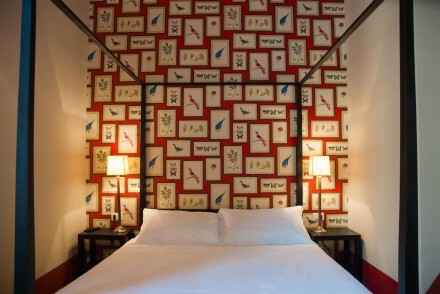 A design-led boutique hotel housed in a 14th-century townhouse oozing style with hip decor, modern furniture and funky artwork. The smart rooms are impeccable and elegantly simple, featuring clean lines, minimalist furniture and striking feature walls. Tasty breakfasts are a highlight! 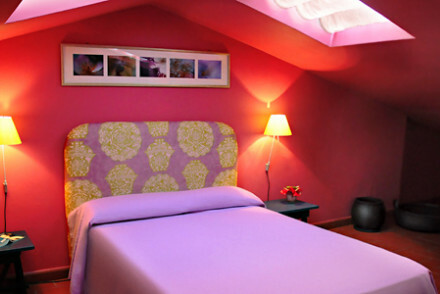 This contemporary and stylish B&B is located in a heritage building in the heart of Florence. 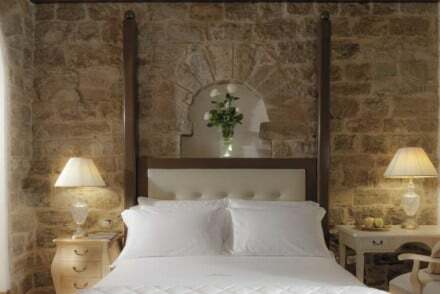 The individually styled rooms are simple and elegant, boasting crisp linens and wooden floors; the best rooms offer a view over the historic centre. Guests can enjoy the use of a shared kitchen. Charming. Travel back in time at this majestic 19th century Florentine villa with its original period features, antiques and gilt-framed paintings, and Art-Deco flourishes. Smart rooms balance modern fittings with more classic touches. Expect to be delighted by the top-notch Tuscan-inspired cuisine. Fabulous! A chic and friendly B&B in the heart of the city, with delicious breakfasts, served in the plush, scarlet-clad dining room. Fine, high-ceilinged rooms feature original frescoes and chic modern furnishings and are ample in size. An ideal choice for independent, discerning travellers. A grand luxury hotel bang in the centre of the busy central market area. Sweeping marble clad interiors with high ceilings are furnished with comfy modern furniture and carpets. 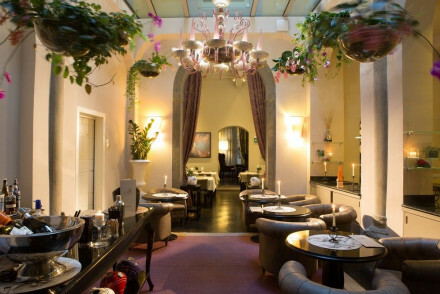 There's a lovely restaurant and outside terrace, while the elegant rooms are spacious and indulgent. A real treat! 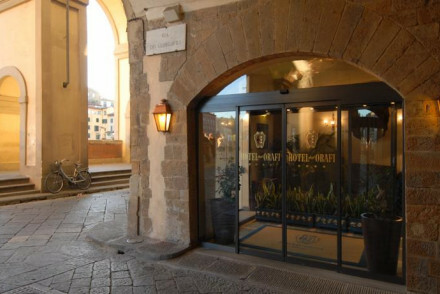 Designer-hotel in great location, close to the station, overlooking the striking church of Santa Maria Novella, and only five minutes from the Duomo. Rooms are large and uncluttered, the best overlooking the piazza, and corridors are dotted with whimsical design features. Local markets - Browse the neabry Mercato Centrale. A stunning hotel set around a villa on the Arno with a lovely garden and pool. Elegant interiors feature stylish modern pieces with a nod to Renaissance Florence with its pastel palette, sculptures and stucco. 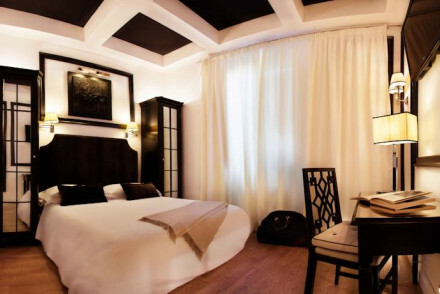 The refined rooms have fine fabrics and furniture, and the indulgent spa seals the deal! 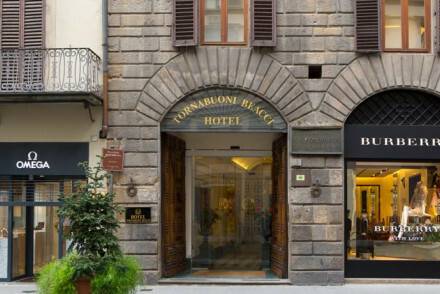 Delightful Florentine hotel in the centre of the city. Mirroring the rich culture of the city, Hotel Cellai is home to a fantastic collection of artwork and antiques. Its tasteful rooms are comfortable and spacious. The perfect launchpad from which to explore the birthplace of the Renaissance. Local exploring - Perfectly situated for exploring all this magical city has to offer, and spectacular views across the city from the rooftop. City Style - An enchanting Florentine hotel, with effortlessly chic suites, original art, and jazz music tinkling in the library bar. Sights nearby - Five minutes walk from San Marco Museum, Convent of San Marco and Basilica of San Lorenzo. 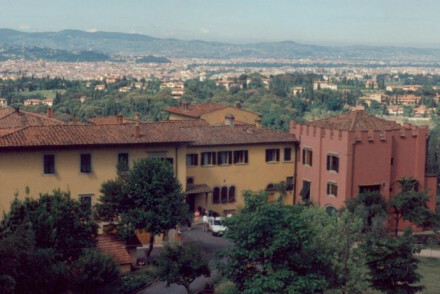 A homely and picturesque B&B right in the heart of old Florence. This beautifully restored boutique offers effortless style, from quirky wall art to elegant furnishings and funky light fixtures. There is an excellent breakfast and you are within walking distance of the best restaurants in Florence. A smart and quiet B&B in a great central location offering generous breakfasts. Elegant interiors in neutral tones are cool and airy with bare stone, vaulted ceilings and original fireplaces, while impeccable rooms are spacious and comfortable. A great pied-a-terre for couples or groups alike. 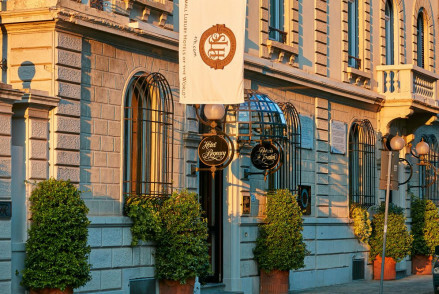 This hotel is housed in a beautiful, 19th-century palace close to Piazza San Marco. 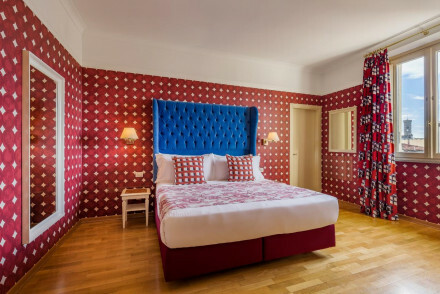 Rooms have been dressed in bold floral and geometric prints by designer Lorenzo Castillo; the statement patterns contrast with wooden floors and period furnishings for a unique look. A jazzy and fun design hotel. 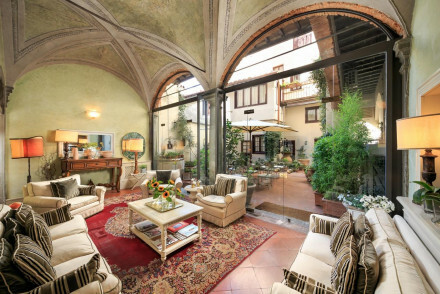 This charming, four-star hotel is located in a converted convent in central Florence. Suites are spacious with original wooden beams, vaulted ceilings and period furnishings; the best have restored painted ceilings. Enjoy an al fresco breakfast in the quiet internal courtyard; a breathtaking hotel. This unique B&B is located along the Arno River in central Florence. Rooms are individually styled, featuring vintage design pieces and industrial accents; the best have access to a private terrace with pretty views. Relax with a coffee in the B&B's tranquil interior garden; a stylish city break. Awash with opulence and grandeur, Leone Blu harks back to its medieval roots. 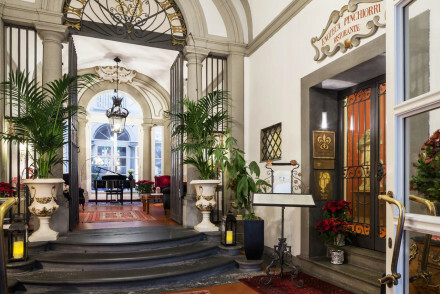 Its rooms are lush and palatial with stunning antique decorations and frescoed ceilings reflecting the hotel's celebration of Florentine culture. Perfect for exploring the beauty and romance of Florence. A majestic gem. Romantic Break - A spoiling and indulgent city break for two, with private butlers, palatial suites, frescoed ceilings, and wonderful views. 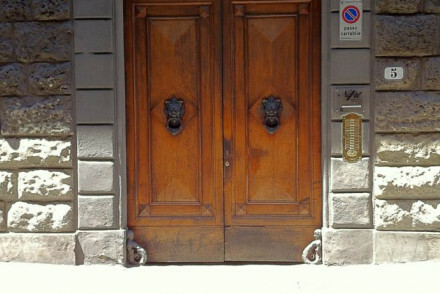 Sights nearby - Right in the heart of the city, under a ten minute walk from the Piazza della Signoria. A gorgeous hotel in the heart of the city in a historic Liberty building. 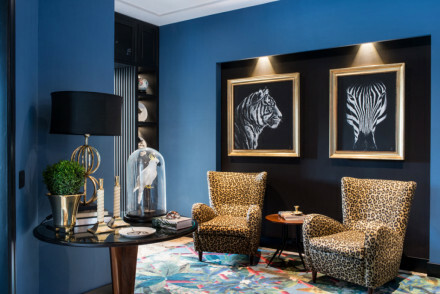 Interiors are decorated with an eclectic mix of statement furniture and bold artwork while large, bright rooms are stylish and comfortable with striking Art-Deco style pieces. The delicious breakfasts are a highlight- a treat! 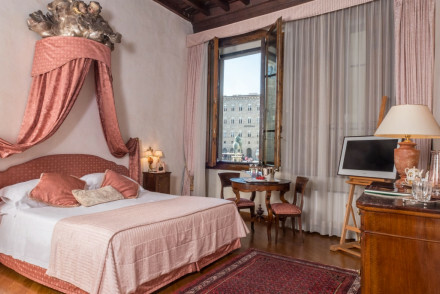 This luxury B&B is located in Piazza della Repubblica in central Florence. Rooms are bright and elegant with large windows, wooden floors and period artworks; the best suites offer panoramic views of the city. Start the day with American breakfast in the smart dining room. A stylish heritage hotel. 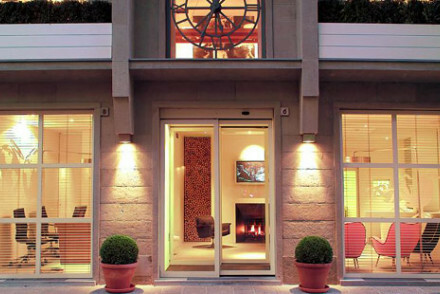 This stylish boutique hotel sits on Via de' Tornabuoni, Florence's exclusive shopping street. The hotel entrance neighbours the Gucci store; inside, the interior design is inspired by the building's heritage, with period furnishings, vintage photographs and classic wallpaper. Step back in time here. 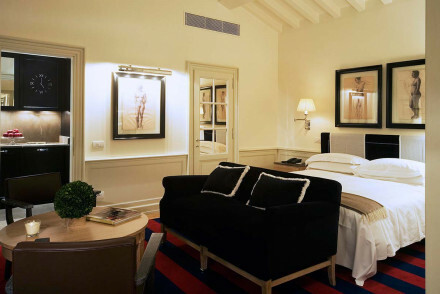 This four-star boutique hotel is nestled in the stylish Oltrarno district of Florence. 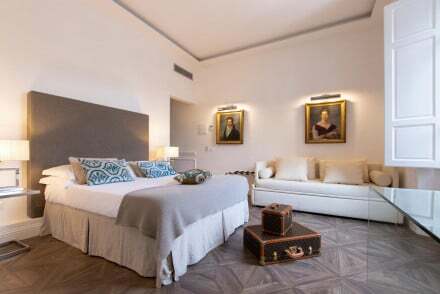 Rooms are individually dressed in a blend of modern and traditional design; cool greys contrast with the terracotta tiled floors and wooden accents. Don't miss the hotel's pretty secret garden. A luxury city stay. 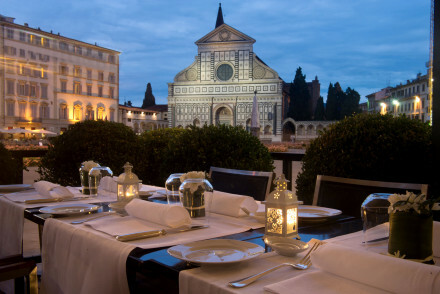 This luxury, four-star hotel sits just outside of the centre of historic Florence. Rooms are recently renovated and are dressed in Made in Italy materials only; book a terrace room for beautiful views over the city. Enjoy the hotel's free teatime buffet before a drink at the bar. A stylish hotel. 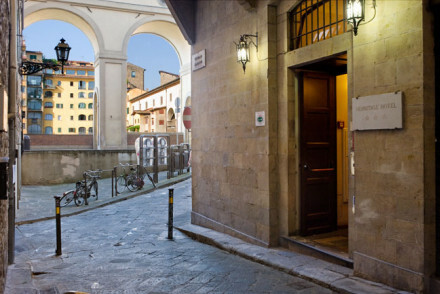 This hotel is housed in an 18th-century building in the historic centre of Florence. Original features abound, from exposed stone walls and tiled floors to wooden beams; the rustic feel is enhanced by hand-selected antiques. Choose a family room for extra living space. A charming heritage hotel. This sophisticated 19th-century hotel has grand staircases and high ceilings balanced by neutral tones and unfussy decor. Smart rooms have a gentle, subdued palette and the very comfy beds have fine crisp linens. Delicious food, a friendly ambience and a top-notch spa seal the deal. A gorgeous palazzo bang in the centre with romantically lavish interiors featuring original plasterwork, frescoes and classic italian furniture. Opulent rooms and suites are individually decorated, with four poster beds and sumptuous fabrics. 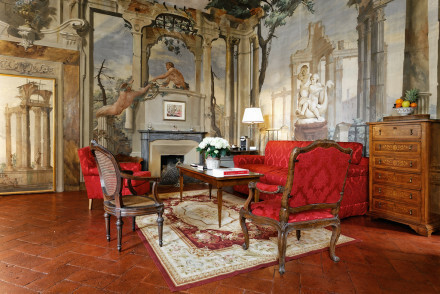 A great florentine bolthole for chic couples. 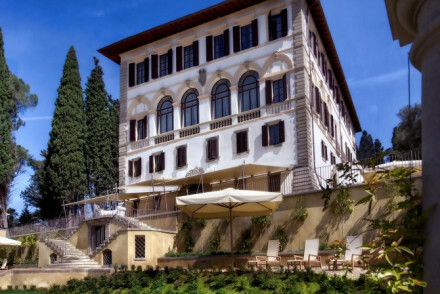 An elegant renaissance villa boasting spectacular views of Florence. Spacious rooms have original features yet the design is chic and contemporary. Gourmet restaurant cuisine is served on the tranquil terrace and there's a glorious pool too. A luxurious retreat from which to explore the famed city. Local exploring - Well positioned in a quiet spot overlooking the city yet with easy access to all the many attractions. Sights nearby - Visit the Duomo, Giotto's Campanile and the Palazzo Vecchio to name a few. 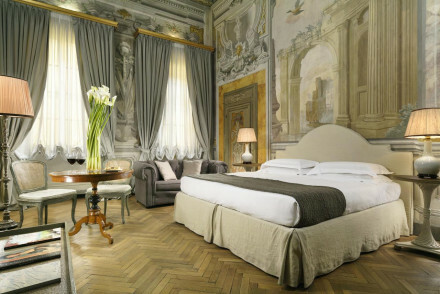 A chic restored 17th-century palazzo exuding glamour and luxury. Rich golden hues throughout harp back to the building's regal past. 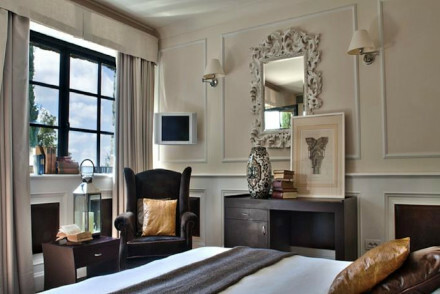 Large rooms feature sash windows, feather soft beds and ceiling frescoes. An expansive spa is the ultimate in indulgence. Well located to explore the city. Superb. Local exploring - Right in the heart of the city, well located to explore Florence's architectural and cultural delights. Total relaxation - With a fabulous Ayurvedic day spa, a chic restaurant and a happening bar it's the ideal spot to unwind. Sights nearby - Visit the cities impressive Cathedral, just a few minutes away. 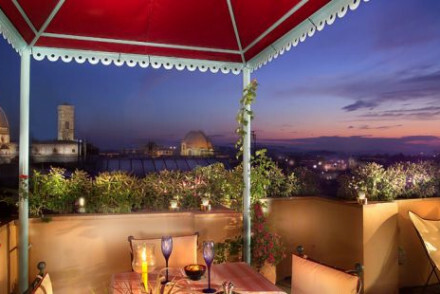 Positioning between the Duomo and Palazzo Vecchio makes this 4* boutique a romantic hideaway in the heart of Florence. Chic rooms are spoiling with views and comfort. Be warned, proximity to some of the most famous works of art might mean you can't sleep at night! Tower Bar is popular hangout. Sights nearby - The Duomo is full to the rafters with art, gilded doors, statues as well as being the resting place of the Medici. Stunning hotel in a 16th-century palazzo replete with restored frescoes, stuccoes, grand arches and marbles. 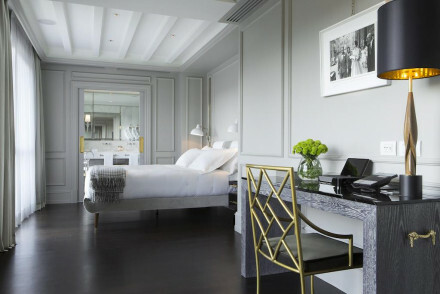 The bright, elegant rooms vary between decadent, ornately decorated suites to chic, classic double rooms. The on-site Michelin-starred restaurant is a real draw- a sophisticated treat! 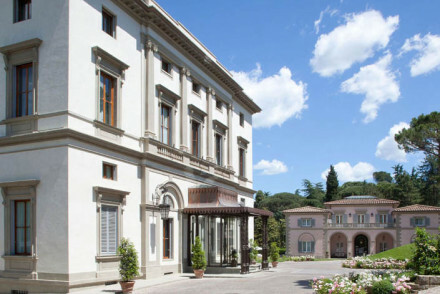 Opulence abounds at this majestic Medici villa. 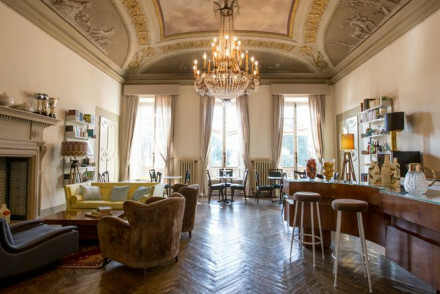 Within touching distance of Florence, this enchanting renaissance hotel is perfect for those looking for a luxurious way to visit the city. Relax your senses in the spa or enjoy a delicious meal overlooking the Arno. Indulgence personified. Romantic Break - Romance from a bygone age, with marble baths, antique furnishings and plush fabrics, pampering spa and lovely gardens. Country Escape - Within reach of Florence, but the stunning location in the Tuscan hills, removes one from the crowds and hassle. 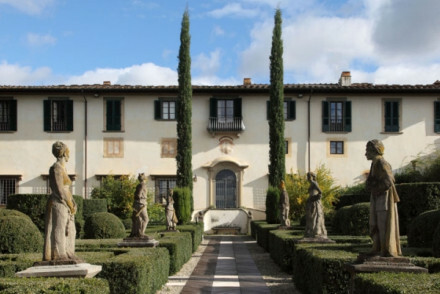 Great walks - Wander the charming gardens, or head further afield to explore the stunning Arno river and Chianti Valley. 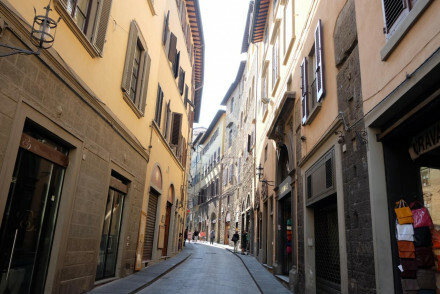 Sights nearby - There is a free shuttle into the centre of Florence, for those who can drag themselves away. 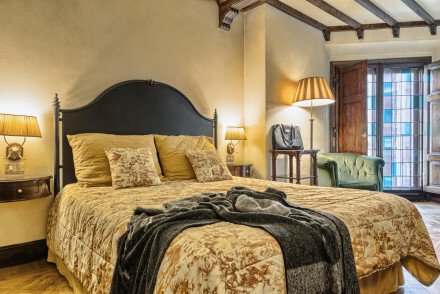 This boutique B&B is located on the first floor of the 16th-century Palazzo Cavalcanti. Rooms feature a blend of modern and period furnishings; original features abound, from painted ceilings and wood-panelled windows to tiled floors. Peruse the collection at the gallery. A unique heritage hotel. 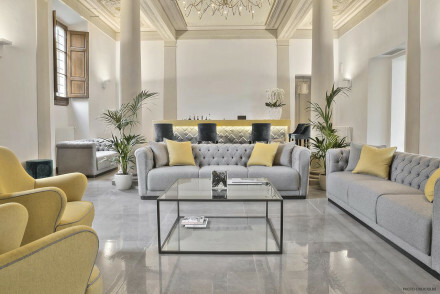 A luxury boutique hotel and spa right in the centre of Florence. Gorgeous interiors keep their original charm with exposed stonework, traditional art and antique furniture. A stunning spa is the ultimate in indulgence. Dine on superb Florentine fare. Walking distance to many sights. Utterly chic. City Style - A sophisticated and grown up Florentine getaway, boasting an excellent locality, walking distance from most of the sights. Spa breaks - No expense has been spared installing this expansive spa boasting an extensive treatment list, jacuzzi and Turkish bath. Sights nearby - Florence has endless sights to visit from the famed David to the impressive Cathedral. 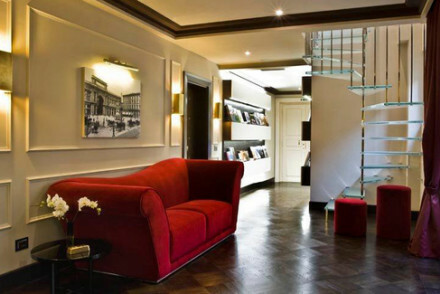 A sleek contemporary property in the heart of the historic city of Florence. Comprising only of suites which have been beautifully styled in monochrome tones. 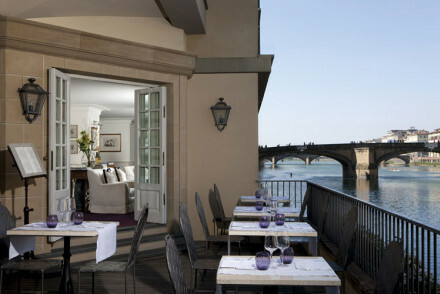 Boasting spectacular views of the famed Ponte Vecchio this is a tough one to beat. Local exploring - Located slap bang in the middle of Florence overlooking the Ponte Vecchio. Sights nearby - Stroll down to the striking Palazzo Vecchio and the Duomo. Local markets - Pick up classic Italian produce in the Mercato Centrale.